TSP Legal > News > General News > Minimum Energy Efficiency Standards and Landlord Responsibilities. There are over 100,000 farms in this country, but many are not in a position to rely solely on agricultural income and have diversified into other activities to create additional revenue streams from the farm. 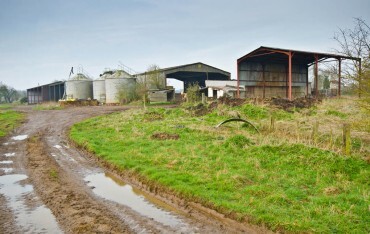 The renting of farm buildings for commercial or residential use is a popular kind of diversification. The Energy Efficiency (Private Rented Property) (England and Wales) Regulations 2015 will bring into force MEES in both the residential and commercial private rented sectors and will specifically target poorly performing buildings. Almost 1 in 5 buildings perform poorly, with the percentage of rural buildings expected to be considerably higher. MEES will also apply to Rent Act tenancies and protected and statutory tenancies under the Rent (Agriculture) Act. A building’s energy efficiency is currently rated on a scale from “A” to “G” using an Energy Performance Certificate (EPC). From 1 April 2018 it will be unlawful to grant a new lease on a residential or commercial property that does not have a minimum of an “E” rating, unless there is an applicable exemption, and this requirement will be extended to include all existing leases. Changes to Building Regulations that came into force on 6 April 2014 mean that if a building is reassessed a property that currently has an “E” rating could be downgraded to an “F”. A new lease cannot be granted after April 2018 unless a landlord implements a series of energy efficiency measures. The new regulations will be enforced by Trading Standards and there will be penalties for non compliance ranging from £2,000 to £150,000. It is important that property owners start to prepare now for these changes by reviewing their property portfolios, obtaining revised EPCs where appropriate and using any void periods to carry out any necessary works to improve the energy efficiency of any relevant properties. This will then avoid any financial penalties and an interruption to a rental income stream.